That was a fitting end to a thrilling tournament. God’s Plan versus Old Town Road. Charlottesville versus Lubbock. Overtime basketball to decide who was the winner: the best team of the regular season or the best team of the tournament? The former took the title and America got its first new NCAA champion since Florida in 2006. My bracket, metaphorically left in a smoldering trash heap behind a Foster’s Freeze, is far from my mind as I bask in the glow of the NCAA tournament. Filling out tournament brackets, that is. 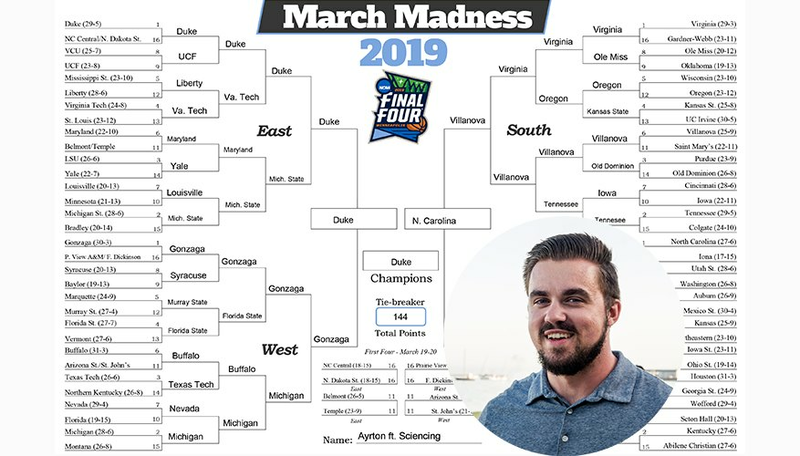 The chance of a perfect bracket hovers near one in nine quintillion (that’s 18 zeros) – or the likelihood I’ll marry Sophie Turner, win the lottery one million times, and learn to love brussels sprouts all in the next decade. So all of us are playing this game where loss is guaranteed. It’s expected. The only variable is the degree of our loss and whether we’ll be the best loser of all. Maybe we’re all playing this game as a release from our despondent daily existence, where chaos reigns supreme narrated by the soothing sound of Jim Nantz’s baritone and punctuated by Bill Raftery's enthusiasm for the vegetable Allium cepa. Maybe our misery truly loves company, emboldened by the collective anguish and surrender cobra imagery to feel more connected to our troubled co-humans. Or maybe I need to stop recycling a Psychology 203 paper and actually talk about the 2019 tournament. Sciencing did a great job providing me and you, my fellow madness enthusiast, a guide of what history’s taught us about the tournament. A lot of it proved useful and the predictions panned out: A top-three seed won, at least one No. 1 seed was in the Final Four, and no seed lower than No. 8 made it to the championship game. This is a game involving human beings so there’s only so far math can take you. But it can point you in the right direction to pick an upset (hello, Oregon) that only goes so far (hello, Ja Morant). I can’t remember a year in which all final eight teams weren’t ludicrous bets to win it all. From Gonzaga and Purdue to Kentucky and Auburn, the quality of teams were at a premium. Each had their strengths and each had their relative weaknesses. And at that point, my bracket was lost enough I was just here for the fun. I got cute on multiple occasions in this tournament. I thought Yale would be a fun pick over LSU and Old Dominion would win out over Purdue (in my defense Carsen Edwards hadn’t turned into the human torch yet). I talked myself into believing in those because I wanted to be different and edgy. You know, like the kid you all remember from middle school. The data was on point and I wasn’t with those. Don’t be edgy, be smart. The Tigers were what fans like me love about the NCAA Tournament. A good-but-not-great team coming from out of relatively nowhere to beat Blue Bloods Kansas, UNC, and Kentucky. Bruce Pearl and the Tigers arguably should've been in the national championship game, something that can't always be said for a five seed that shoots threes at an astounding rate. What I loved most of all was the story of the winners. Virginia survived, advanced and made for one of the best comeback stories in college basketball history. I know why we do this. It's a fascinating two and a half weeks that unites everyone from Sister Jean to Bill from Accounting, no matter the lack of perfection. Thanks for reading. See you next year. Ostly, Ayrton. 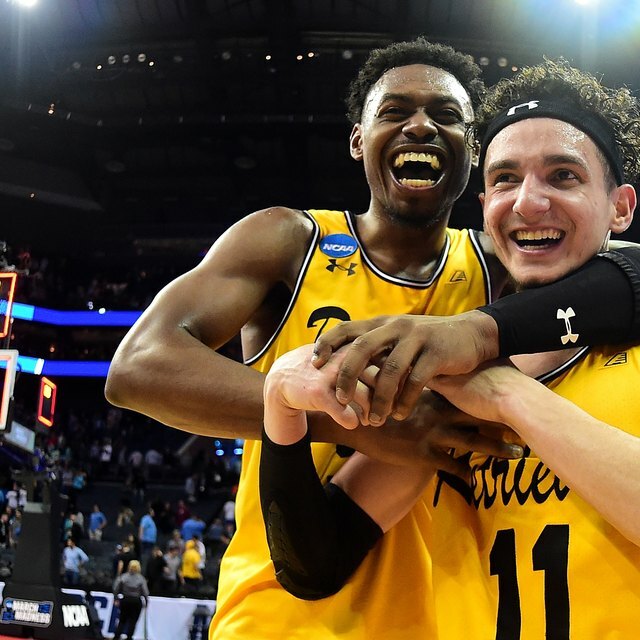 "March Madness 2019: What I Questioned, Loved and Learned." Sciencing, https://sciencing.com/march-madness-2019-what-i-questioned-loved-and-learned-13718350.html. 09 April 2019.